Board Certified Urologist Los Angeles, Calif.
Dr. Kia Michel is a leading prostate cancer expert in Los Angeles. He is an acclaimed cancer and robotic surgeon and has been one of the pioneers of prostate focal therapy in Southern California. Dr. Michel has expertise in MRI fusion prostate biopsies and prostate mapping. This acumen has allowed him to champion focal therapy with HIFU for patients with localized prostate cancer. His expertise is sought after by patients nationally and internationally. Dr. Michel is highly respected by his peers and serves as an expert consultant to his colleagues. Dr. Michel has an illustrious educational path. Dr. Michel was a Presidential Scholar for four years at Whitman College. He subsequently attended the University of Washington School of Medicine, where he graduated with Honors. After completing his medical training, Dr. Michel was recruited by UCLA Department of Urology where he completed his residency. While at UCLA, Dr. Michel was recognized as a national Pfizer Scholar. After completing his residency, Dr. Michel completed additional training and developed further expertise in urologic cancer surgery. During this time, Dr. Michel was actively involved with research in the field of Urologic Cancers. His efforts have been recognized by the National Cancer Institute, the National Institute of Health, and the American Urological Association. 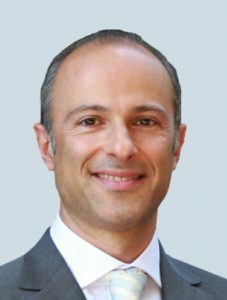 Dr. Michel is one of the founding members of the reputable Comprehensive Urology Medical Group, located in the Cedars-Sinai Medical Towers in Los Angeles, California. He serves as the Director of Prostate Cancer Therapies at the Prostate Cancer Specialists of Los Angeles. Prostate Cancer Specialists of Los Angeles provides a comprehensive, multi-specialty approach to diagnosing and treating men with prostate cancer with the most advanced and effective modalities. The single focus of Prostate Cancer Specialists of Los Angeles is treating men with prostate cancer. Dr. Michel is a compassionate urologist who has dedicated his career to providing state of the art care for his patients with a warm, and nurturing touch. Learn more about Dr. Michel here. Located in Beverly Hills, La Peer’s medical service focuses on excellent patient care alongside the most advanced treatments and equipment available. 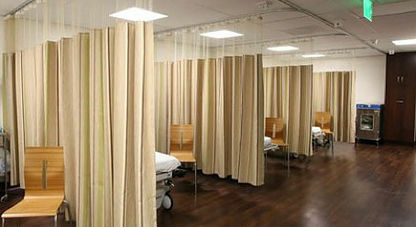 Unlike large hospitals, their unique structure allows them to offer extremely personal care in a safe and controlled environment. This treatment center is the first in the country to exclusively focus on offering focal therapy for prostate cancer with HIFU.